Shabaab, al Qaeda’s branch in Somalia, recently detailed a deadly raid on a Somali military base near the southern port town of Kismayo that took place two months ago. The assault, which took place on Sept. 2, left over 20 Somali military personnel dead, far more than Somali officials admitted to after the attack. 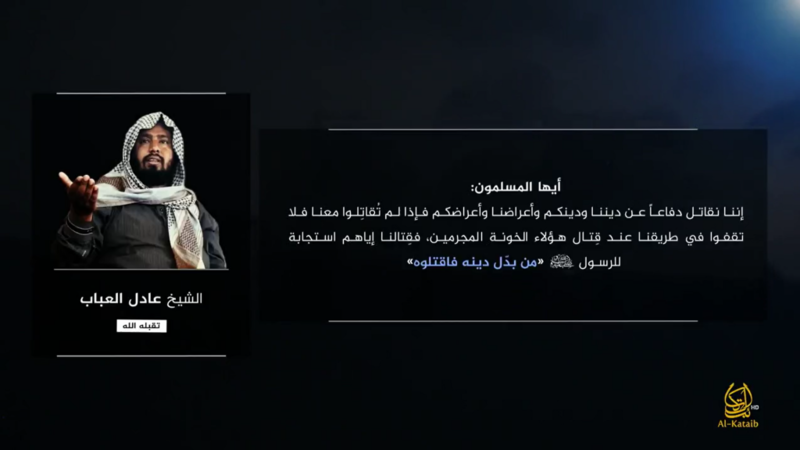 Shabaab detailed the attack in a video entitled “And Be Harsh Against Them.” The video, which was released today, includes dramatic footage of the nighttime assault which included a massive suicide car bombing, and Shabaab fighters entering the base, clashing with Somali soldiers, and executing survivors (note: elements of the video appear doctored; such as the muzzle flashes and some sound effects, however the video is authentic). Shabaab’s strike on the Bala Gadud base began with its signature pattern, a large suicide car bombing to soften the perimeter before an assault team enters the fray. 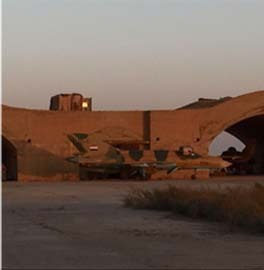 The video shows the pre-dawn suicide bombing before turning to the actual raid on the base. At the time, Somali officials reported that at least 10 soldiers were killed in the attack. However, Shabaab claimed to have killed 26 soldiers. The video appears to confirm the larger number; as dozens of dead Somali soldiers are shown sprawled throughout the base. Shabaab fighters shoot any who appear to be alive. The Somali army base seems to be relatively new. The HESCO barriers used to form the base’s perimeter are in good shape, and new US-supplied tents and orange tarps used to single the presence of friendly forces to Coalition air power are seen in the video. 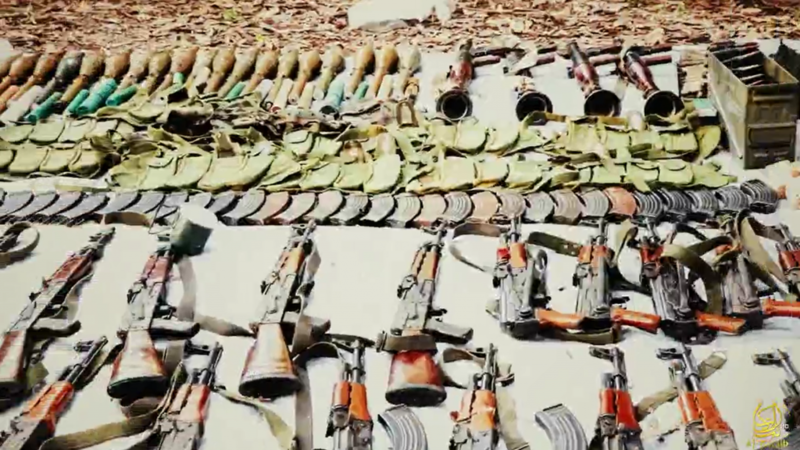 Shabaab seized a large amount of weapons and equipment from the base, including mortars, machine guns, and AK-47s assault rifles. 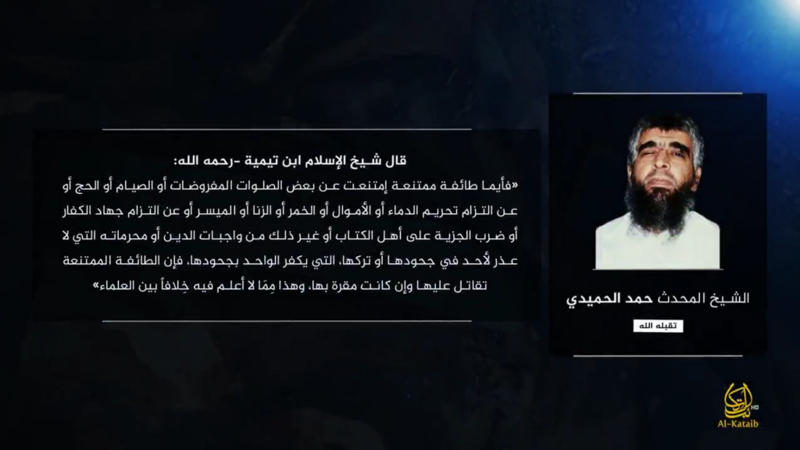 Toward the end of the video, Shabaab claimed that 16 members of the “apostate militias of Bala Gadud” defected to the jihadist group. Eleven captured Somali soldiers are then shown in front of Shabaab’s flag. Archived speeches from Ayman al Zawahiri, Mukhtar Abu Zubayr, Adil al Abab, and Hamid al Hamidi are used throughout the video. 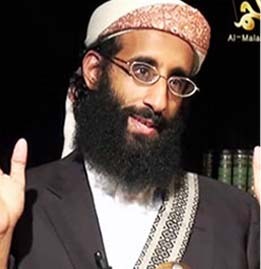 The US killed Zubayr, Shabaab’s first emir, in an airstrike in 2014. The latter two were senior leaders and ideologues of al Qaeda in the Arabian Peninsula who were killed in a US drone strike in 2012 and executed by Saudi Arabia last year, respectively. Shabaab has been resurgent in Somalia since losing ground to a combined African Union (AU) and Somali offensive in 2011. 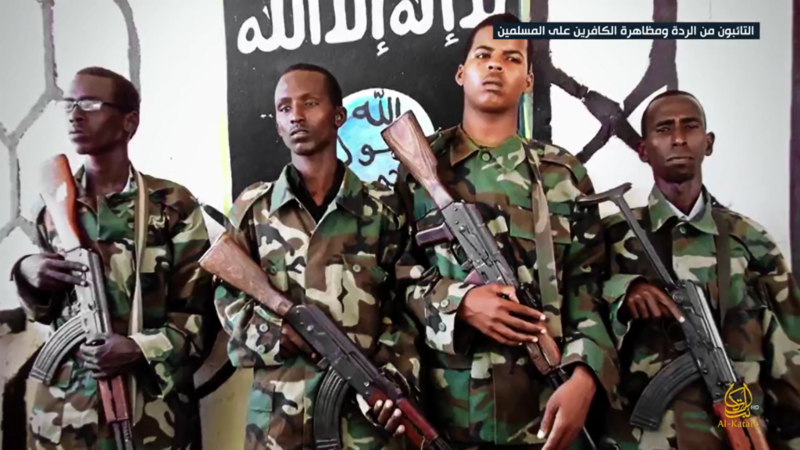 The jihadist group has slowly but methodically retaken several towns and villages that it lost in both central and southern Somalia – often after AU or Somali forces withdraw. In addition, it remains a potent threat against both African Union and Somali military bases in central and southern Somalia. The al Qaeda branch also remains a serious danger inside northern Kenya, where it has undertaken several assaults and improvised explosive device attacks and even upping its operational tempo there this year. At the same time, it retains the capabilities to strike in heavily-secured areas of Mogadishu and conduct attacks like the October 14 suicide bombing that killed over 300 people. According to data compiled by FDD’s Long War Journal, Shabaab has also conducted at least 40 car bombings in Mogadishu so far this year. Shabbab will be defeated by the forces of good. Fear not. Alshabaab seems to be using the same pattern in attacking forces supporting government in Somalia. Worryingly, forces in Somalia have failed, unwilling or unable to adopt to the situation. 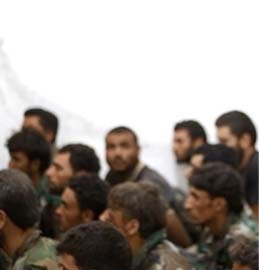 How can a group of say 500 militants sneak their way through the camp without being noticed? 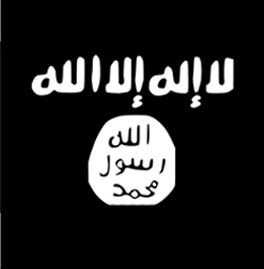 I am certain that unless Alshabaab is actively pursued in Somalia, defeating the group would be just a dream. Another question to ask is where do the militants stay in Somalia? Do they live among the locals? and why are they not being pursued? While the US is trying to fight them with drones they can only achieve so much.I think the most decisive way to deal with this issue is to be in constant battle with the Shabaab. This way they will not have time to plan. Al Shabaab has no strategy to conquer the ground but harrasses out-posts and ambushes convoys. In that way it ‘s trying to lift the pressure and prevent UAMISOM to launch offensive toward its strongholds. 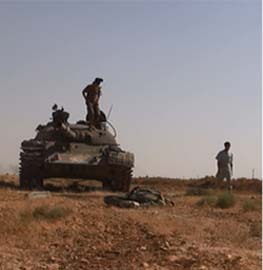 Al Shabbab is raiding outposts and immediatly is withdrawing. 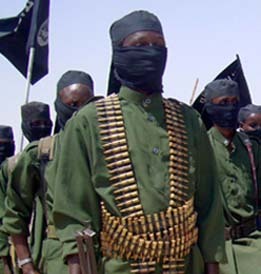 Al Shabaab has capacity to move quickly from region to region. Control of the roads is a major task. Al Shabaab can’t win but it’s hard to defeat it.